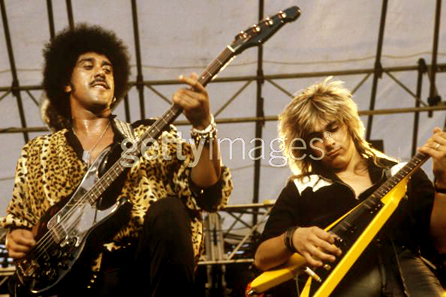 For all the popularity and success Phil Lynott had fronting Thin Lizzy, his next band Grand Slam couldn't get arrested for a label deal. A very short lived exercise in frustration from 1984 to 1985, Grand Slam nonetheless had a great reputation among the Hard Rock community for their live gigs which they performed quite a bit. This concert, recorded by the BBC in 1984 offers a rare sample of what they were like live and makes you wonder why they couldn't get signed to a label. It probably might have happened had Lynott not died in January 1986 from heart, liver and kidney failure owing to a life of drugs and alcohol. Sometimes fate has other plans.